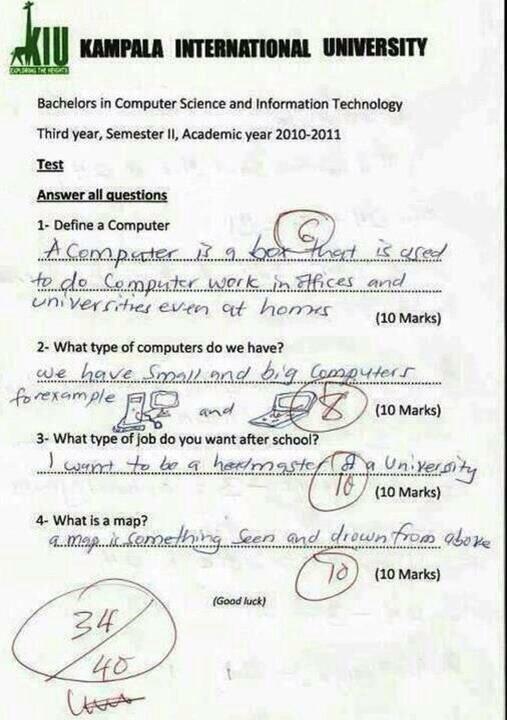 Ugandan journalist Daniel Kalinaki posted this exam from the Kampala International University on his twitter feed a couple of weeks ago, and it has been a bit stuck in my head. Is this really real? Is this normal? Their wikipedia page says that KIU is ranked 58th out of African universities. It's deeply sad if true.